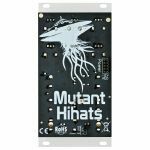 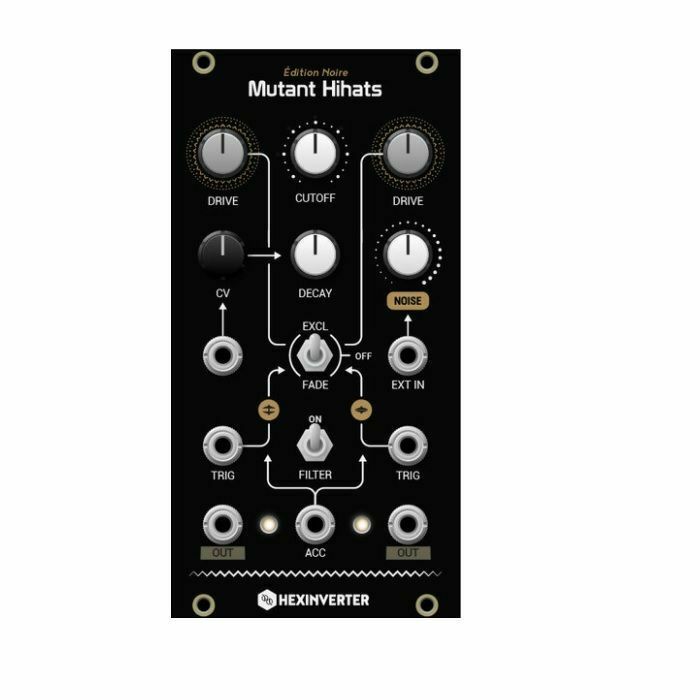 HEXINVERTER Hexinverter Mutant Hihats Dual Analog Hihat Module vinyl at Juno Records. 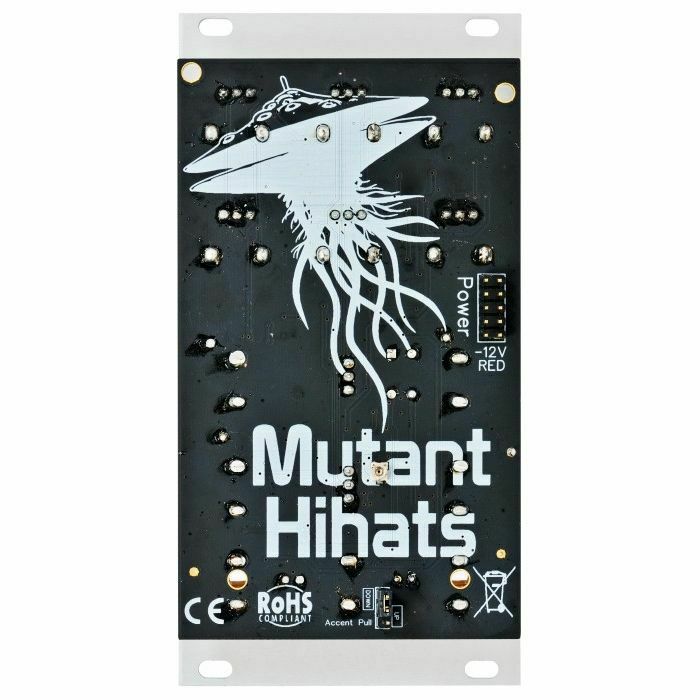 A classic electro percussion synthesis design reborn as something completely different. 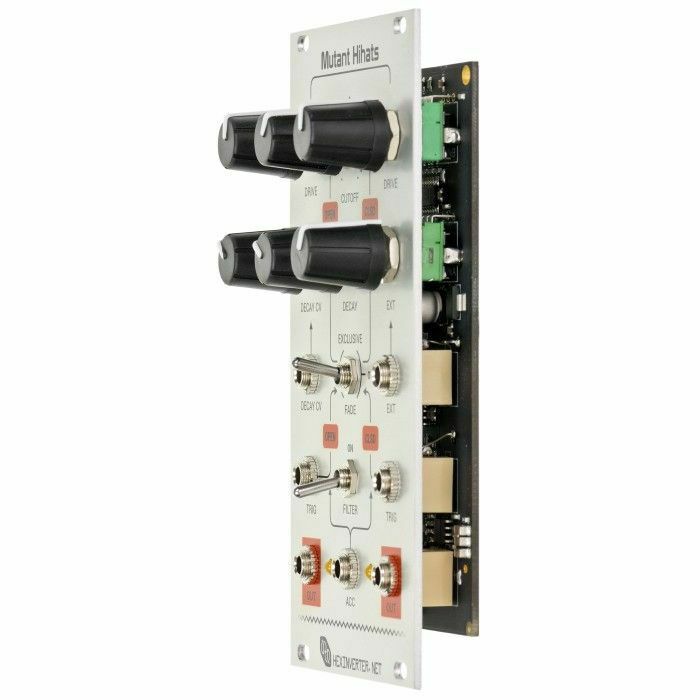 Hexinverter wanted to recreate a classic hihat synthesis design as something new and exciting, so they took the super electro 808 circuit and transformed it into a powerful creative tool for modular synthesis! 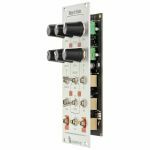 - Non-invasive analogue optocouplers used for voltage control, thus, completely vintage sounds can still be had if that's what you're after!